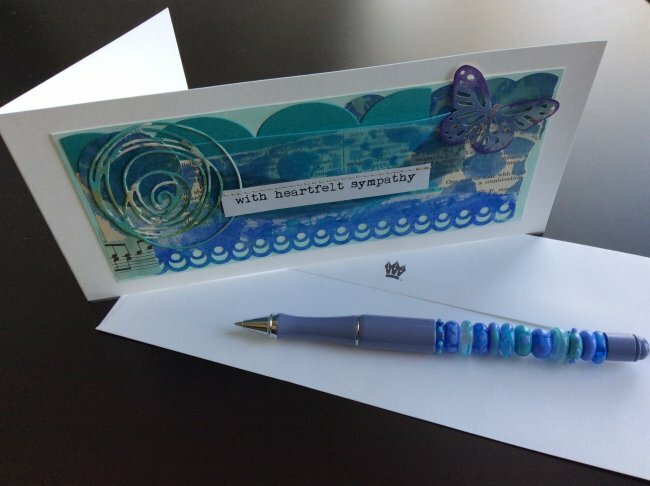 Handmade Hellos by Haute Note! 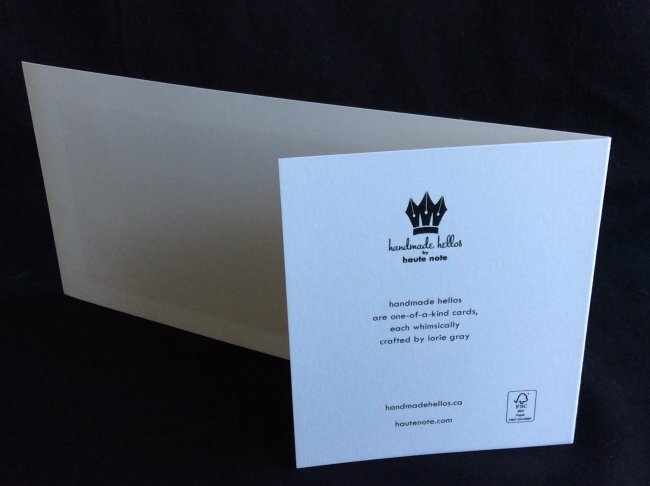 Handmade Hellos are the newest addition to our Haute Note products, and sold exclusively on the ETSY website. 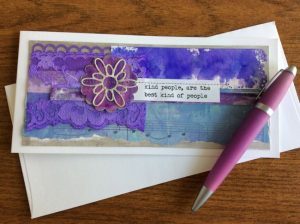 Lorie has taken our Haute Note Signature-style cards, and embellished them with a mix of layered materials and media. 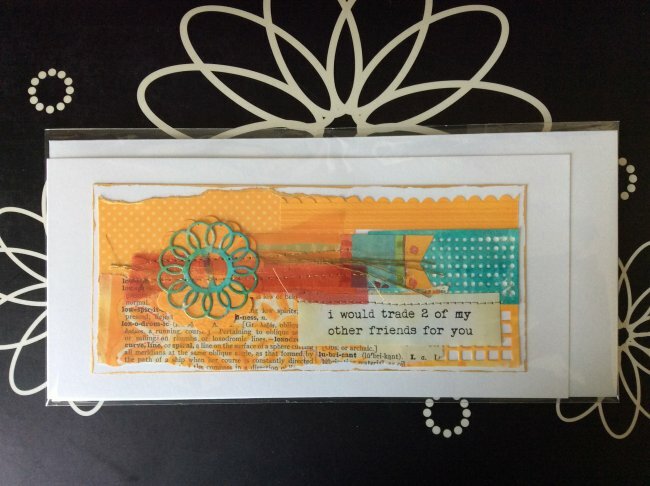 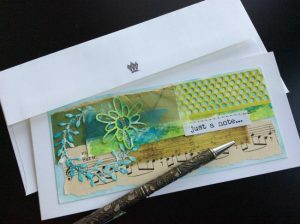 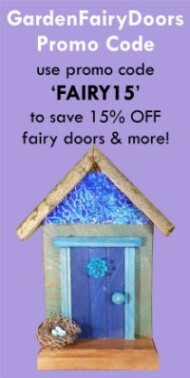 They are handmade Art Cards — each, one-of-a-kind, and individually crafted. Like snowflakes, no two are the same. Each one is whimsically curated, created and collaged from bits and pieces of vintage and handmade papers, ephemera, hand dyed lace, ribbons, paint and other materials we find interesting. 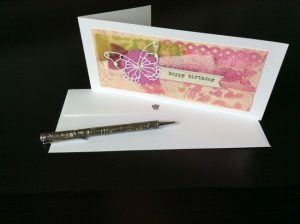 Most cards have a message on the outside, but the inside is left blank, for your own personal note or greeting.